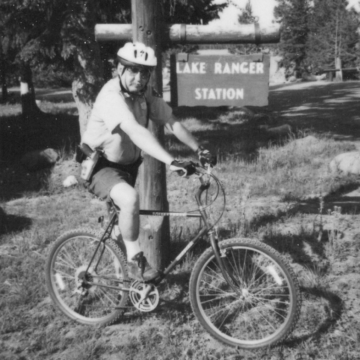 Law Enforcement in our National Parks looks a lot different today than it did when I first reported in for duty at Lake Ranger Station. There were no formal briefings or equipment inspections by a shift supervisor. We hit the road for an 8-10 hour shifts without the necessary tools to keep us safe. In 1978, Seasonal Law Enforcement Training Programs were established to prepare seasonal rangers to perform law enforcement in areas administered by the National Park Service. Today, violence and abuse directed against park rangers is becoming more common. Rangers have cited a number of factors for assaults or threats, including conflicts over federal land-management policies, growing use of public lands for meth labs and marijuana plantations, and deeper penetration of remote backcountry areas by off-road vehicles. The next time you visit a national park and encounter a park ranger be sure to thank him for keeping you safe. As seen in recent times, these park-based crime fighters have suffered more than their fair share of danger. From time to time, I heard some great story telling at the driver’s window from visitors explaining why they were speeding through Yellowstone National Park. Late one evening, I stopped a speeder on the East Entrance Road between Steamboat Point and Sedge Bay. Walking up to the driver side of the car with flashlight in hand, I shined my flashlight into the interior of the car. They were everywhere in the backseat. Slithering back and forth and raising their heads, and looking like they were getting ready to strike. There was no way I was going to stand there and write a ticket for speeding. I wasn’t about to spend another second with the snake-man and his back seat drivers. And just when you think you’ve seen and heard it all, another visitor would come along and prove me wrong. I must have followed that station wagon for miles, honking the horn, hitting the siren, and flashing my high beams. The driver seemed to be clueless about my efforts to get him to pull over. Two Grant Patrol Rangers immediately responded and headed north on the Grand Loop Road to intercept the station wagon at Pumice Point. As the station wagon approached Pumiced Point, the driver finally slowed down and stopped his car for the Grant Rangers who were motioning for him to pull over. I pulled in behind the station wagon and got on my public address system. Nothing. I tried again to get the driver to exit his vehicle. He wasn’t getting out. The next thing I saw was a male driver in his early thirties, getting out of his car, hopping up and down on one leg and holding the other. Turns out the driver had taken his prosthetic leg off to get comfortable while driving and had placed it on the rear seat behind him. Knowing that the rangers were getting a little nervous, he decided he’d better get out of his car, leg or no leg. The driver was issued a ticket for speeding and apologized. Not all car stops are as dramatic as that one. On a lighter note, I’ve got one more for the books. It was then, that the female passenger sitting to the right of the driver produced a throw away camera and handed it to me. I handed the camera back. What to do? Practice the spirit of the law or the letter of the law. Sure enough, about a week later, I received a letter from an address in Ohio with a short note and a photo of what appeared to be a waterspout over Yellowstone Lake. See. We weren’t making up a story just to get out of a speeding ticket. My first call out as a crisis negotiator took place on a summer night in Yellowstone National Park. It was close to 8 p.m. when she had gone back to the tent to check on her 15 month-old toddler and couldn’t find him.